From New York to Florida, then halfway back to North Carolina, Betsy Meyer has found Asheville a perfect place to put down roots. Growing up, she heard stories of this creative enclave from her uncle, Fred Gerber, who was a highly regarded multi-media artist, botanist, and an active member of the Southern Highland Craft Guild. Since settling down in an Asheville home and art studio Betsy has had the opportunity to accomplish her goal of joining the Southern Highland Craft Guild herself! Now she’s getting connected and exploring the vibrant fiber arts community in this region. 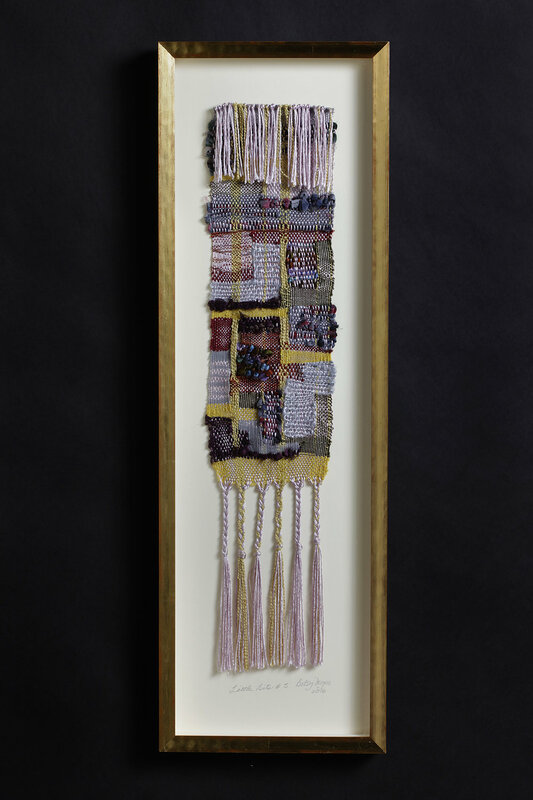 Always interested in fibers and visiting other cultures, Betsy combines these two sources of inspiration into her own style of free-form weaving. 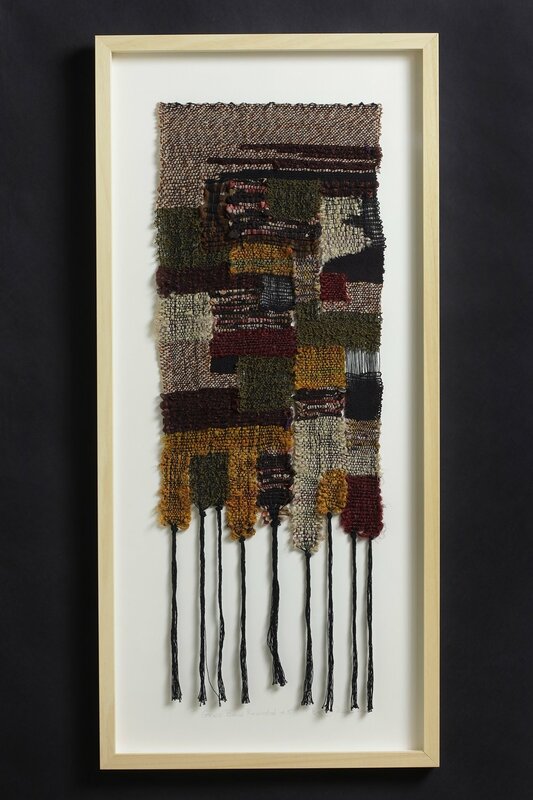 She takes small pieces of cloth from repurposed clothing or from her travels and weaves them into her tapestries to tell her own unique story. Sari silk spun from factory waste by women in co-ops in India add vibrancy; hand-dyed bits of yarn from friends or from teachers bring back good memories and add to the texture; shredded and over-dyed silk strips make their way into Betsy’s loom. Her color sense is wonderful and the distinct textures allow you to pause and marvel at the beauty of the individual elements, as well as her overall artwork. Having owned her own retail business for many years, Betsy Meyer knows what it takes to satisfy customers, build loyalty and offer good service. She offers a wide variety in her works and accepts commissioned orders with a little leeway for creativity (maximum size determined by her loom width). Go with me to visit Betsy in her lovely Asheville art studio! We’ll see her colorful personality beginning with the purple front door and view her art collections from her many travels decorating her home.